Employment Law Attorneys For Employees in Los Angeles: The city of Los Angeles, also known as the City of Angels, has the second most populated city in the United States of America and is the most populated city in all of California. It is also the county seat of Los Angeles County. The City of Los Angeles is estimated to be home to approximately 13 million people while 18 million called the Greater Los Angeles Area region home in 2010. Millions of people are drawn to Los Angeles because of its temperate Mediterranean climate, its ethnic diversity, and because it is arguably the leading city in the entertainment industry. 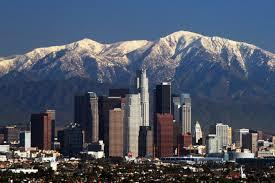 Another reason why Los Angeles is an attractive city to live in is because of its numerous economic opportunities. From entertainment, media, and fashion to science, sports, and technology, the city has it all. The city has been ranked 6th in the Global Cities Index has come in 9th place in the Global Economic Power Index. Despite the city being known for its many and diverse workplace opportunities, not all employees are treated equal in their place of employment. One issue which many in the Los Angeles area face is workplace retaliation, something which is prohibited by the U.S. Equal Employment Opportunity Commission (EEOC) and the California Department of Fair Employment & Housing (DFEH). The attorneys at the Azadian Law Group, PC are committed to representing employees and we refuse to represent employers. Over the past few years our team of employment law attorneys has recovered more than $30 million for our clients. To speak to an employer retaliation attorney today, we welcome you to call (213) 229-9031.